Former Brick Mayor Daniel J. Kelly died Monday night, Brick officials said, prompting many to remember the former township leader as a man with a big heart who helped shape the lives of many young people as a coach. “He was a very kind and caring man, a good man, and he will be missed,” said Councilwoman Andrea Zapcic, tearing up at the township council meeting Tuesday night. Zapcic said she worked under Kelly when he served as mayor and remembers him fondly. 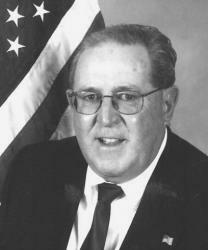 Kelly, a Democrat, led the township during a tumultuous period, after Joseph C. Scarpelli resigned the mayor’s office amid scandals that would eventually lead to his incarceration on bribery charges. Kelly was appointed to the mayor’s office in Jan. 2007 and ultimately made a run to complete Scarpelli’s term, but lost the election to former mayor Stephen C. Acropolis. Kelly told the Brick Bulletin in a 2007 article as he was departing the mayor’s office, that he saw his role as mayor as a “caretaker” of the township, saying he loved his fellow residents but disliked contentious council meetings and battling with township Republicans. He leaves behind his wife, Gerri, three sons and several grandchildren, plus countless township residents he coached as youngsters. Brick Shorebeat will announce funeral and memorial arrangements for Kelly when they are released.